Chapstick and Vaseline are two of the main products on the market offering protection against harsh natural elements that may cause chapped skin. However, though these two products may be similar in that they are protection for the skin for the harsh elements in life such as the sun and the wind, there are still many differences between the two such as the ingredients in each, the uses of each, and the price. Chapstick is going to have its main ingredient as petroleum jelly. However, there are other added ingredients to Chapstick such as flavoring, sunscreen and tint since the majority of people use Chapstick on the lips. In addition, many times Chapstick may have certain vitamins and minerals such as aloe vera included in the ingredients. Vaseline on the other hand is also going to have petroleum jelly as its main ingredient. In certain products that they offer, they are going to include other ingredients, such as those hand lotions that include aloe vera. However, the majority of these products are made up of petroleum jelly. 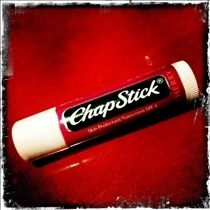 Chapstick is mainly used for the lips when they are cracked, peeling or chapped. They also provide sun protection for the lips as well and this is where the main differences start to kick in. Vaseline offers many other products that are used all over the body, they also produce hand lotions, diaper creams, and so forth. But their products are also used for household tasks since the petroleum jelly in Vaseline serves as an excellent lubricant for stuck windows and so forth. This is something that Chapstick cannot compete with since Vaseline is many times used as a lip protectant as well. Chapstick usually ranges in price from a few cents to a few dollars. Since they deal mostly with lip balm, the person is not going to pay an incredible amount for these products. Vaseline on the other hand ranges from a dollar all the way up to five or six dollars depending on the product that they are getting. For example, a hand lotion by Vaseline could cost around three dollars, while a jar of Vaseline may cost four dollars or more. The reason for the price difference is solely based on quantity, as Vaseline tends to come in bigger sizes when compared to a small tube of Chapstick. Chapstick and Vaseline are both names in which people trust for their health. Each has always had and will always have a dominant field in the skin care market. However, there are many differences between the two. Chapstick uses flavors and artificially coloring in order to make the product more appealing to consumers. Vaseline basically uses petroleum jelly in all of their products, while also offering those lines that are going to have slight scents and additional ingredients added to make it more pleasing. Chapstick is mainly for the lips. 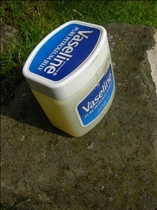 Vaseline can be used on the lips, on other areas of the body, plus as a hand and body lotion. Chapstick is much cheaper than Vaseline since it is in smaller quantities. is petroleum jelly made from petroleum? I just tried Chapstick on my fingertips which were broken and swollen due to harsh winter weather. I was quite pleased to see that it worked very well on an ongoing winter problem. I'd never even thought of Chapstick for this use. It was awesome.